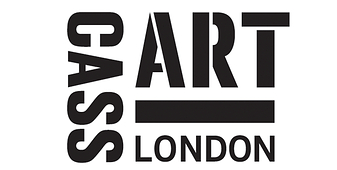 Cass Art was founded by Mark Cass, who holds more than 30 years of experience in the creative industry. The store has a massive collection of art and craft supplies that are sure to encourage new as well as professional artists to take their creativity to the next level. Cass Art believes that art should be accessible to everyone, regardless of age, and therefore you will find a full range of art supplies divided into following categories. Whether you are an amateur artist or professional sketcher, from watercolour and oil paints, to acrylic paint, pencils, brushes, sketchbooks and accessories, you can be sure of finding everything here. Also, Cass Art has partnered with well-known art names such as The Royal Academy of Arts, The National Gallery, National Galleries Scotland and local art galleries and institutions. We, ByDiscountCodes, work hard to offer you various kinds of promotions that are released out by Cass Art in the form of art and craft voucher codes. Just take a quick look at the list of past offers below so you will understand what kinds of bargains you can expect from Cass Art. Some of the above promo vouchers might be ongoing. The best idea is to thoroughly read the terms and conditions as well as validity before using any. Start shopping for the art supplies from the Cass Art online store. After you have picked everything you need, view your shopping basket. Enter and submit the discount code where it says “Have a discount code?”. Once the total amount is factored as per the deal, start secure checkout process and confirm your purchase. We also have a variety of saving options at other art stores like Create and Craft in case you can’t find a delighting offer here. Being the UK’s leading supplier of art and craft products, Cass Art is dedicated to encouraging everybody to unleash their creative side and experience the freedom and joy it brings. The company stocks a wide range of quality art supplies from top brands like Faber-Castell, Winsor & Newton, Derwent, to name a few, and gives lowest price guarantee. Whether you are a professional artist or someone who is picking paintbrush for the first time, Cass Art is the place you should be.